Our physical therapy unit aids the body’s natural healing. Through carefully developed exercises, our clients use their body’s in-built ability to heal itself. The process is extremely restorative and always leads to pleasing results. We specialize in treating those with orthopedic conditions and arthritis-related pain. We also cater to those during pre/post-operative orthopedic surgery care regimens. Many of our physical therapy routines are general tools against the effects of aging. Finally, we also work against conditions affecting bones, muscles and tendons, and ligaments. Our elderly clients at ADC do everything possible to stay active, and we understand that. Fairview’s physical therapy rehabilitation is highly regarded because of this. We help our invaluable community members maintain their ability to move. We help those who are aging stay fit and healthy. Most importantly, we do so in a safe environment. Nobody is pushed too hard – they all achieve at their own pace in a supportive place. That’s what gives us the results we want. The restorative effects of our therapy are not limited to physical wellbeing. Our clients love the entertainment and socializing opportunities that their physical therapy provides. It’s more than a chance to stay fit, but also an opportunity to stay in touch with their peers. 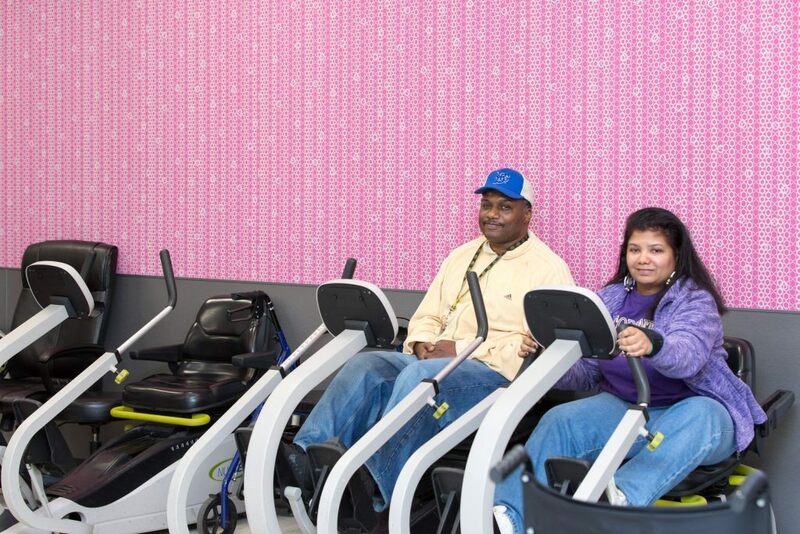 Fairview clients can extend their cultural/social horizons as they get healthy. The benefits of this environment are empowering and lead to happy customers. Regardless of the reason you or your loved one is receiving treatment with us, you can rest assured it will be the best. We’re committed to keeping our customers safe and provide supervision to achieve this. Each physical therapy care plan is uniquely designed for the client. We work to ensure the care we provide will lead to effective results. We take into account factors such as the client’s condition and tolerance. Our physical therapy environment is run and equipped with world-class tools. The staff at our Fairview Adult Day Care in Brooklyn, are experienced and keep the environment controlled and safe. But above all, we make our clients happy and achieve results, and that’s all we could want.